First thing Monday morning, I headed over to the botanical gardens and got there just after it had opened. I made a beeline for the annual orchid showroom and found it empty of people. Soothing music played, while I alone enjoyed the sight of these gorgeous flowers. Usually, it’s hard to navigate the confines of the show’s too small room, because of the crowd. 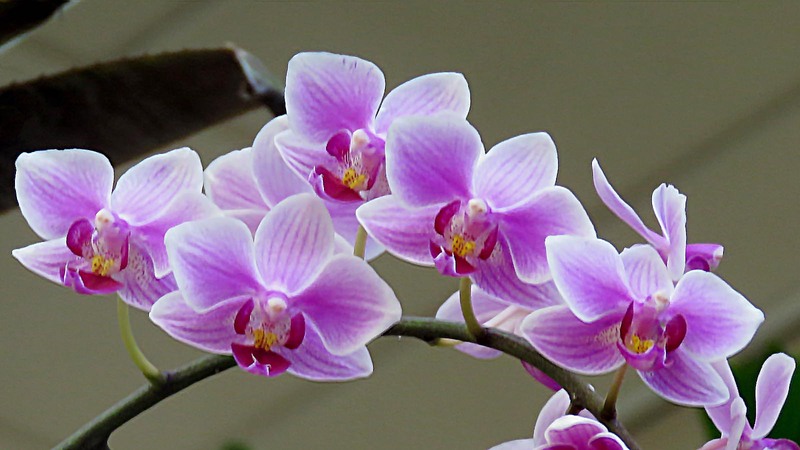 This year’s theme is orchid mania, the Victorian era fad that sparked a mad rush for New World orchids. This fad resulted in the over harvesting of rare orchids. By the time I left the show, the crowd had arrived. I toured the rest of the garden, starting with the Climatron. The garden was just as empty as the orchid show had been.